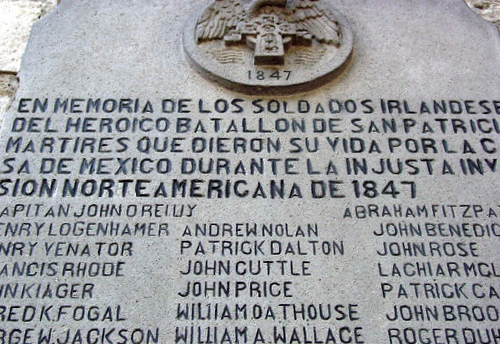 For students to learn about historical traditions of friendship and collaboration between Ireland and Latin American countries and movements. 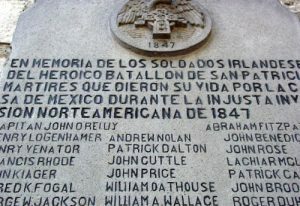 Plaque in Mexico commemorating the San Patricio Batallón. Source: Wikimedia Commons. Ask students if they have any relatives in other countries. Elicit the names of the countries. Say that Irish people have travelled to lots of countries in the world in the past when they had to leave Ireland to get jobs – elicit some examples. 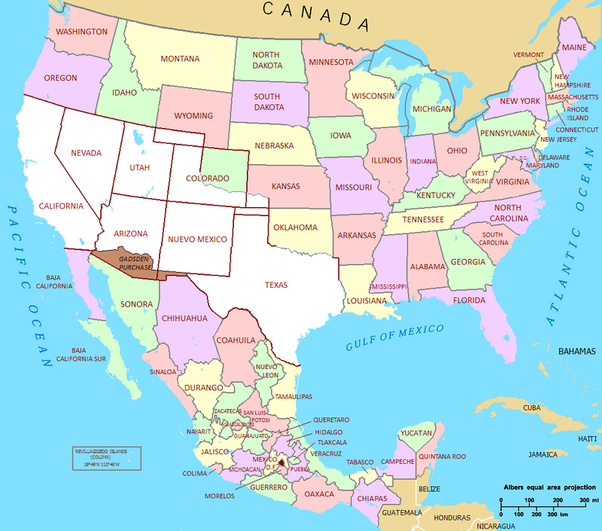 Give students a current map of the US and Mexico. 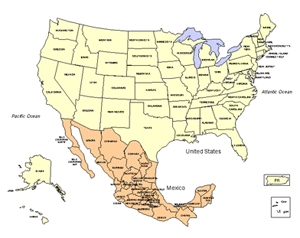 Explain that in the past Mexico used to be much bigger and the US much smaller, but the US invaded Mexico. Ask students to guess which states used to belong to Mexico and draw a line on the map. Tell them to look at the names of states and try to guess any Spanish sounding ones. Then provide them with a map of Mexico before the war. Tell them they’re going to read about some Irish people who were involved in the war. Students read the text and discuss the answers to the questions. 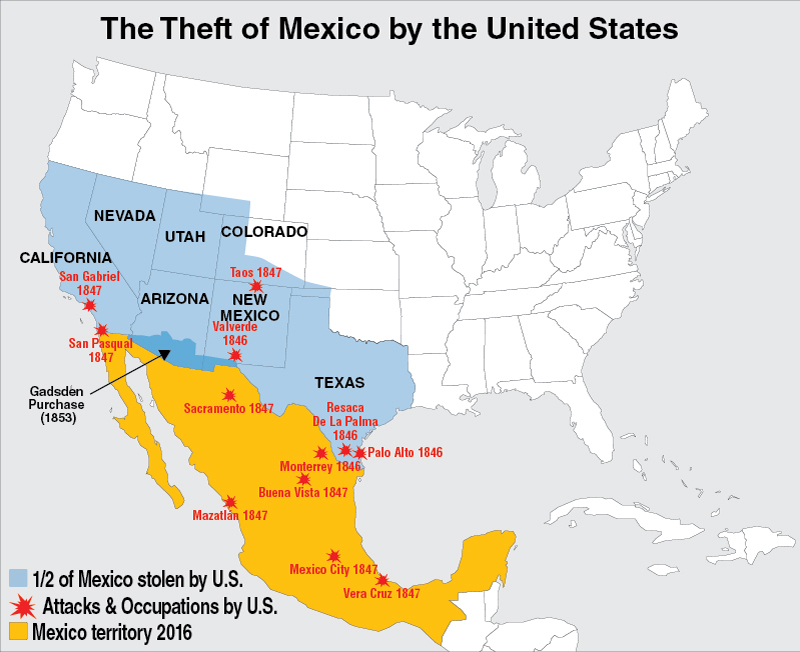 Explain to students that many people in the states that were occupied by the US are descended from the Mexican people who lived there before. Many of them still speak Spanish (with a very different accent to the Spanish spoken in Spain/Latin America – with a very old style of speaking that would be the equivalent of some speaking like Shakespeare in English today) and eat Mexican style food. Invite them to research the culture of the state of New Mexico and prepare a poster about it.